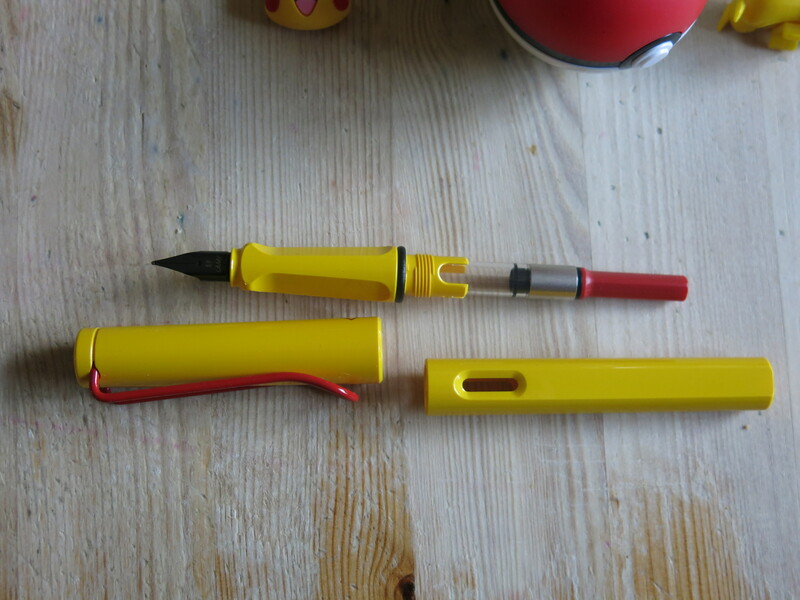 I’m not going to review the pen, after all it just is a Lamy Safari with an extra-fine nib, I will just going through what you get in the set. 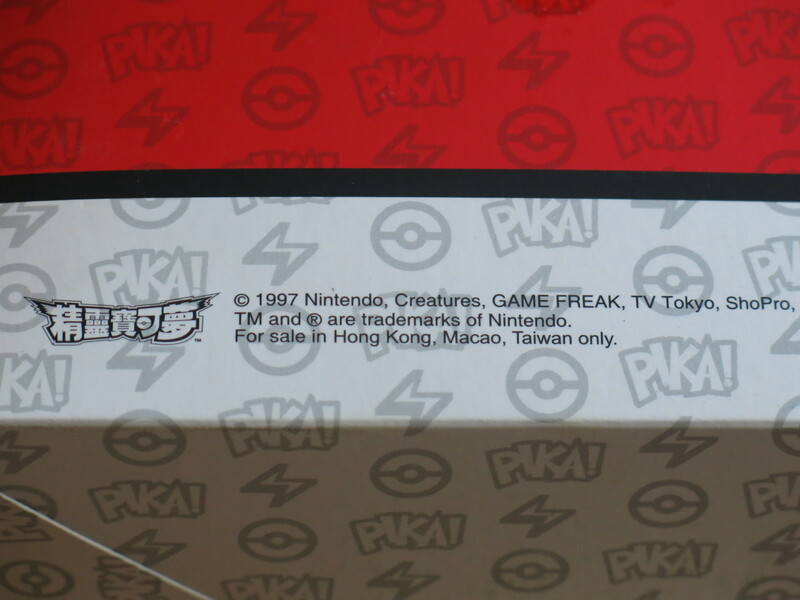 The outside box (which also states the countries in which the set can be sold) is patterned cardboard with a cellophane window, just as it this was a model car or a child’s toy. 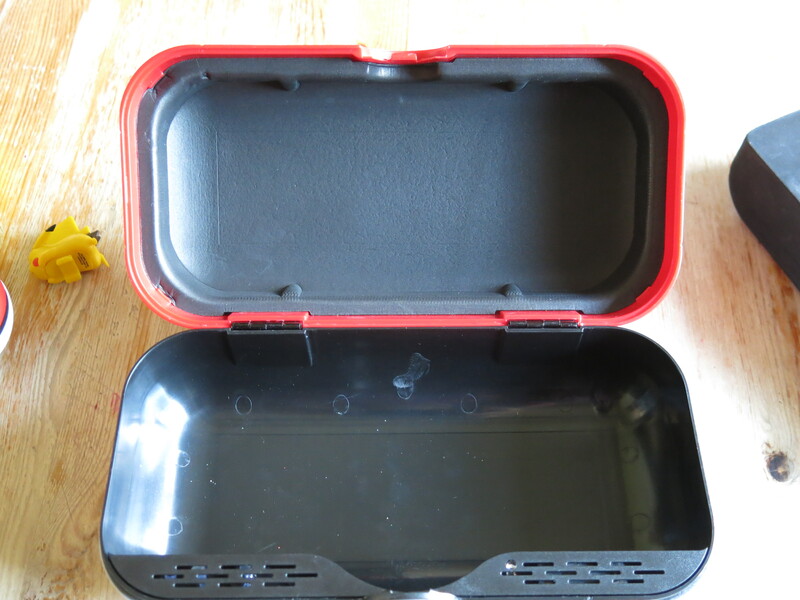 The main container could be used as a pencil case itself and is rather solid. 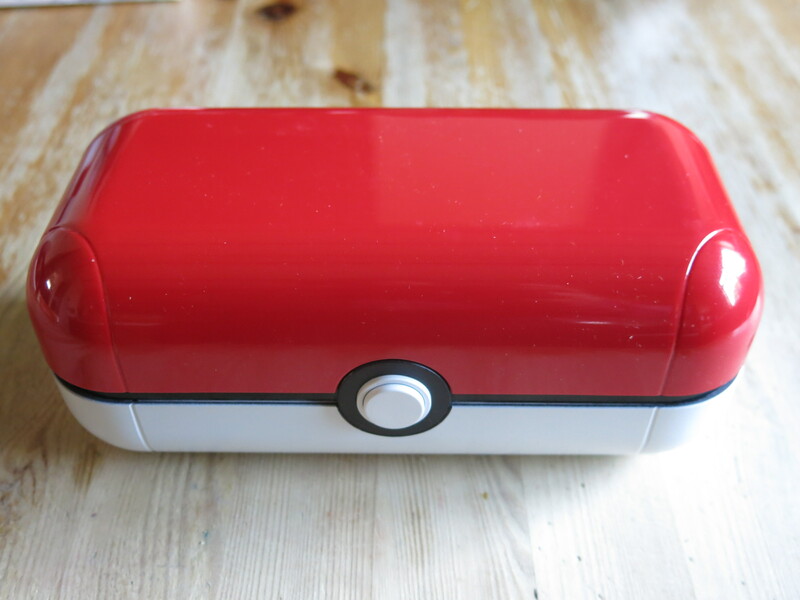 On mine (as I bought a second for a friend) there might be a lose connection in the infamous sound component as even turning the unit over can trigger Pikachu’s voice. The postman actually told me he could hear the package talking to him. 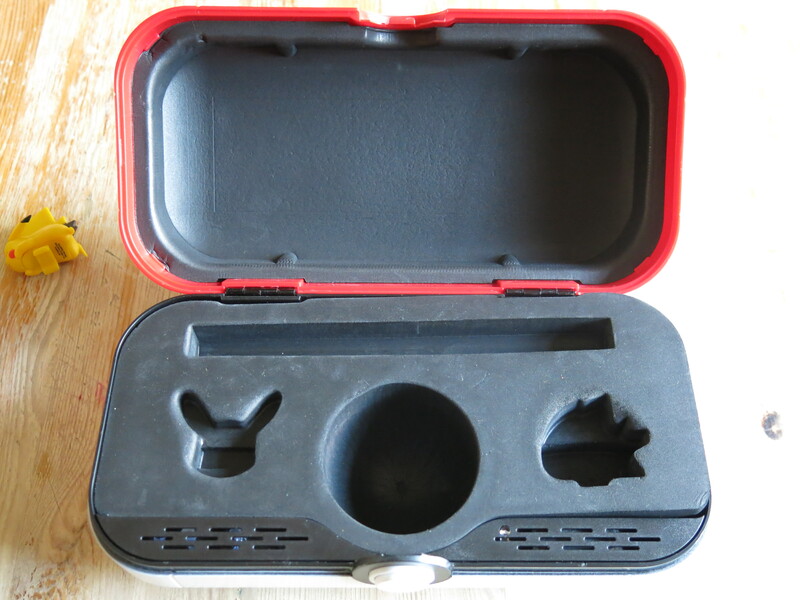 Opening the box, using the button on the front and you can see all the components are neatly packed in, with the lower half having a moulded foam insert which can be removed. The foam is neatly positioned (as you can see from the previous photo) – the lower right corner was a result of me testing if the foam was glued in. It is not. 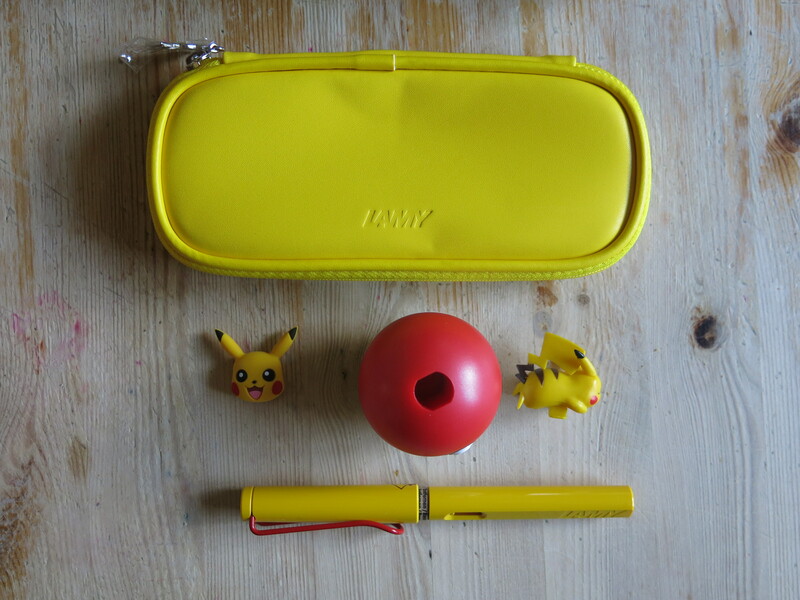 The contents are the pen, a pen stand (which is weighty in the base and won’t fall over – think weeble), two clip attachments, and the soft pencil case (which contains a box of cartridges, instructions, and warranty card). 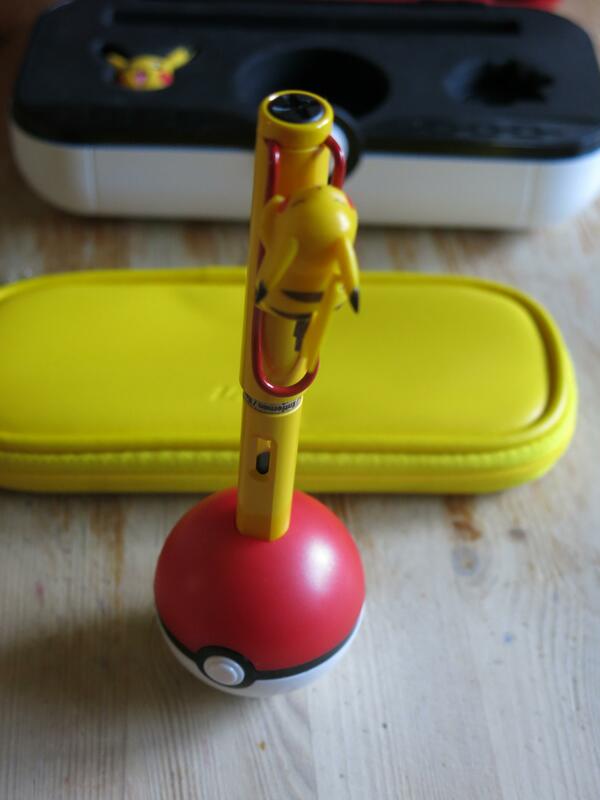 The pen is a unique Safari, being yellow with a red clip and EF black nib, plus a Pikachu tail on the rear of the cap. 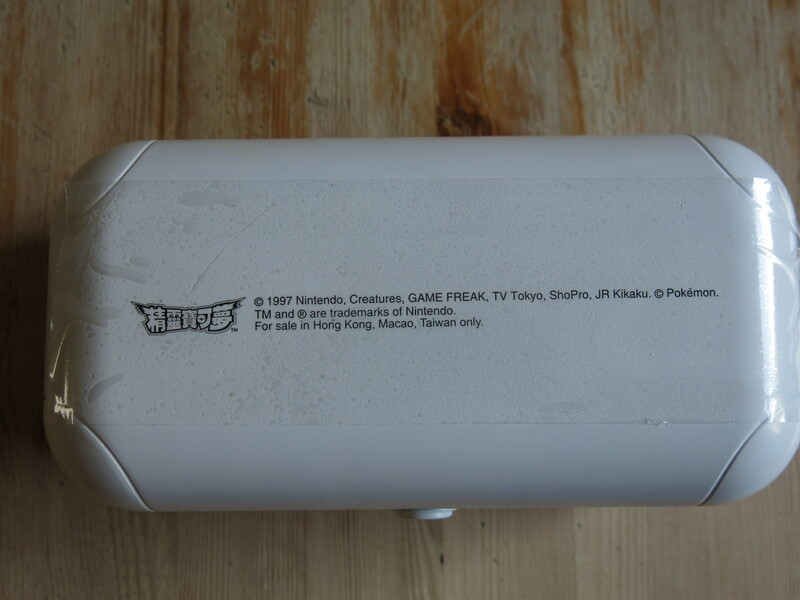 Interestingly, while the usual cardboard ring is in place, a converter is included and already installed in the pen. There are two clip decorations. The first is soft and slides on to the clip, the second is hard and had a bracket that you place in the clip then rotate the piece 90 degrees to lock in to place. 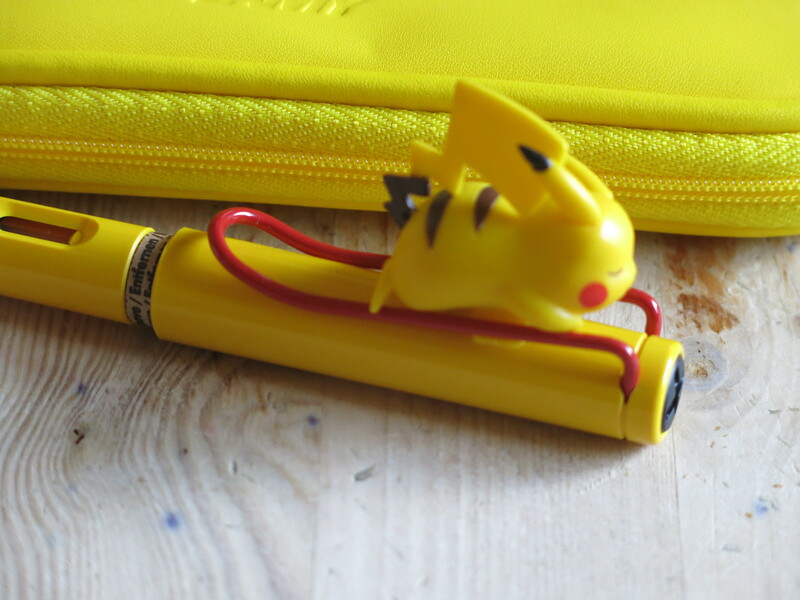 The pencil case is yellow with Lamy branding one side, Pokemon on the other. 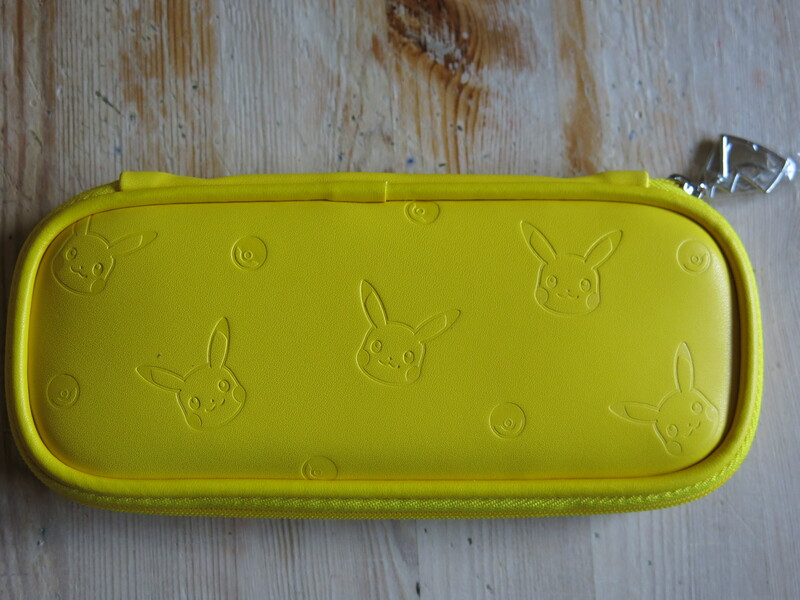 The zip pull has a Pikachu tail grab on it. 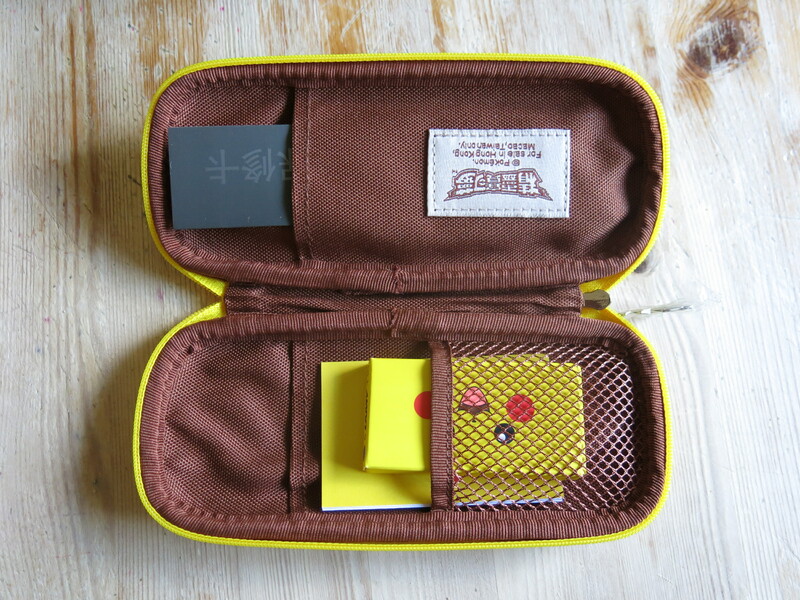 Inside it has various pockets. 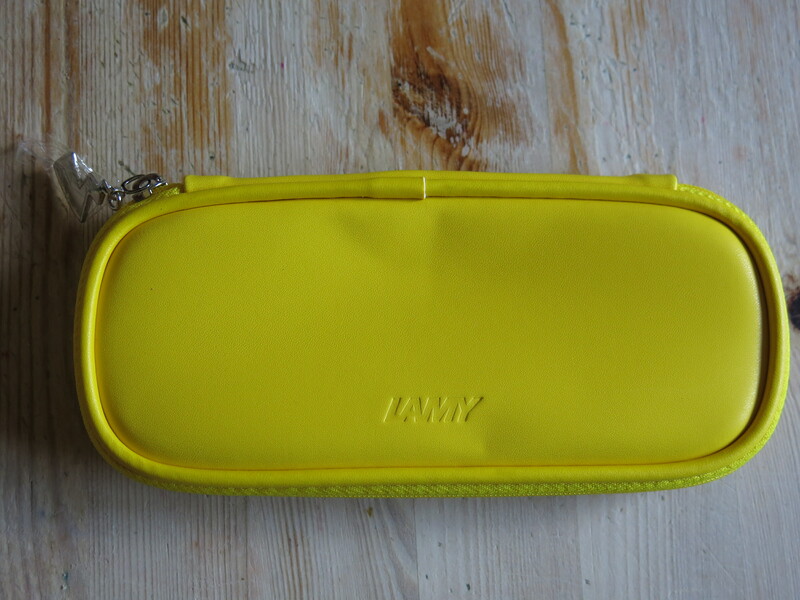 Not having a normal Lamy pencil case I’m not sure if this is standard. 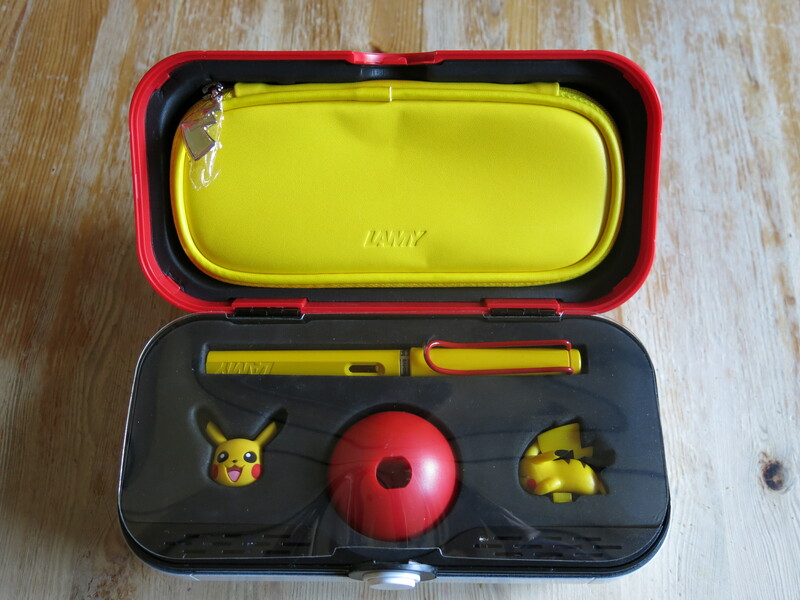 As can be seen it contains a Pokemon branded box of blue cartridges, an instruction fold out which not only includes how to use the cartridges and converter, but also the clip decorations and the pen stand, plus a folded warranty card, which is presented in way that seems far too serious and adult for, what in reality is, a child’s set. So is it worth it. Well when bought officially it is. 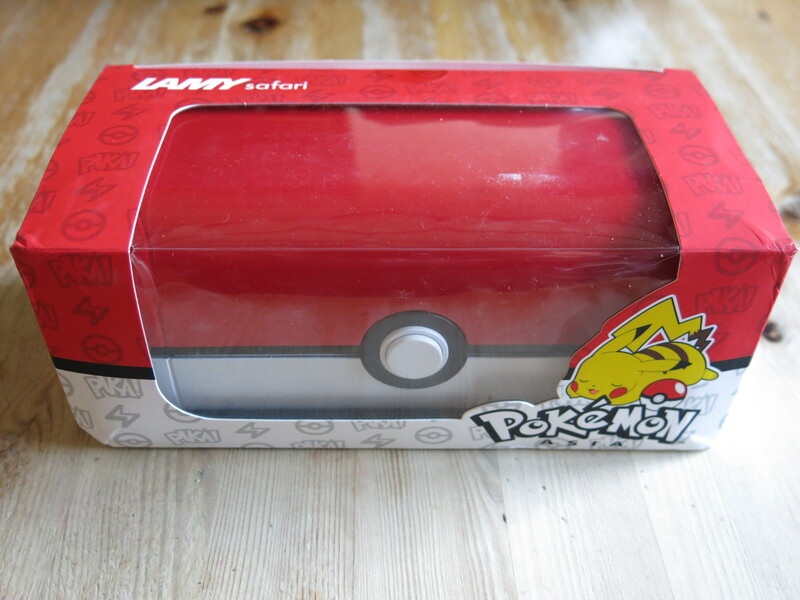 In Hong Kong (where a local friend bought this for me) it is selling for 498HK$ – which is just over £48 or $63. In total, with two being sent to me and declared at their full price, so including postage (my friend did not charge me for the packing materials), UK duty, UK tax, and Parcel Force handling charge, the pens came in at £78.11, or ~$102 each. Considerably less than the grey market ones are going for in the USA. 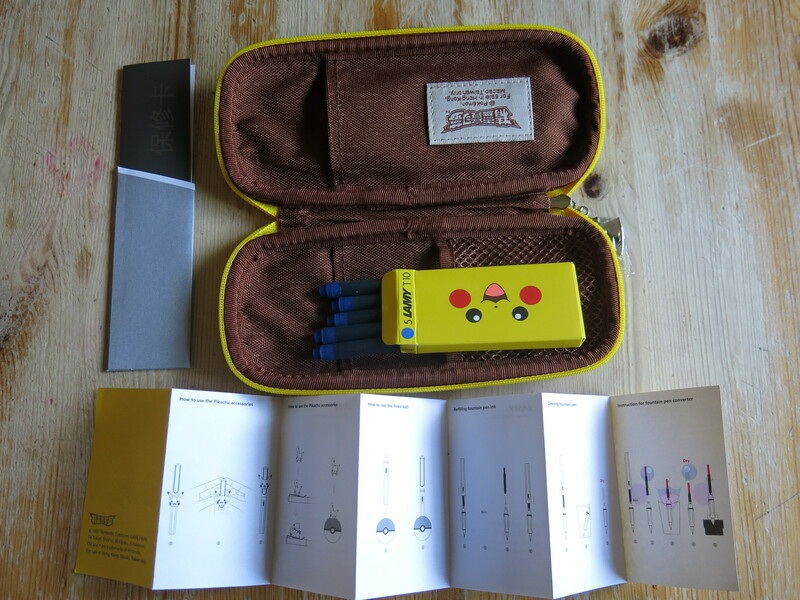 Also please note this set can only be sold from specific Lamy stores and in limited numbers through their website. It is not sold in China and there could be a risk that any sold there, especially at normal or good prices, could be counterfeit. 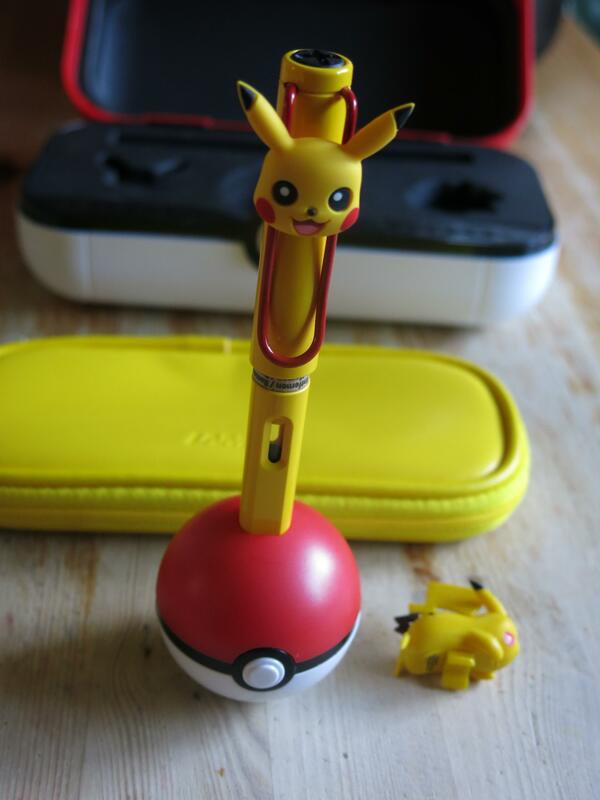 I would also offer a word of caution about the grey market pens being sold in the USA. 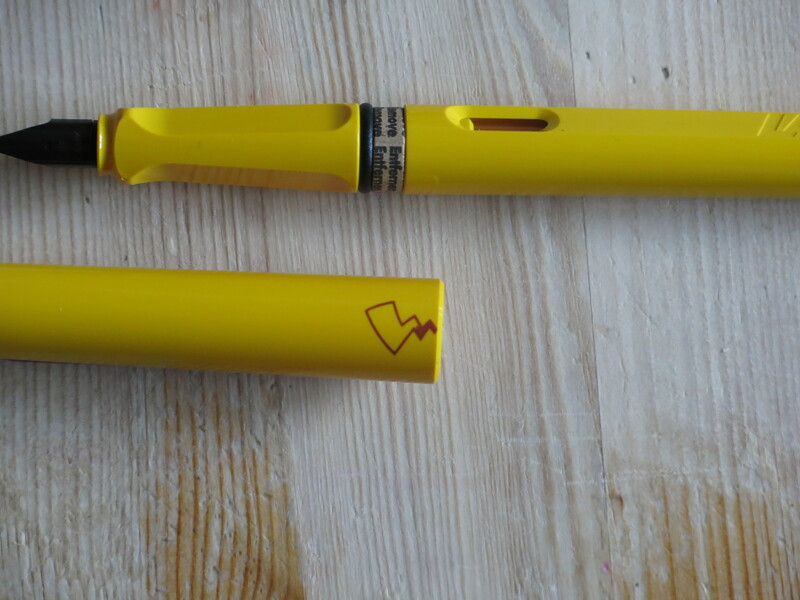 For a limited edition set, which Lamy are very tightly controlling the selling of, how can certain retail stores get large numbers of them. I leave that though to the reader. 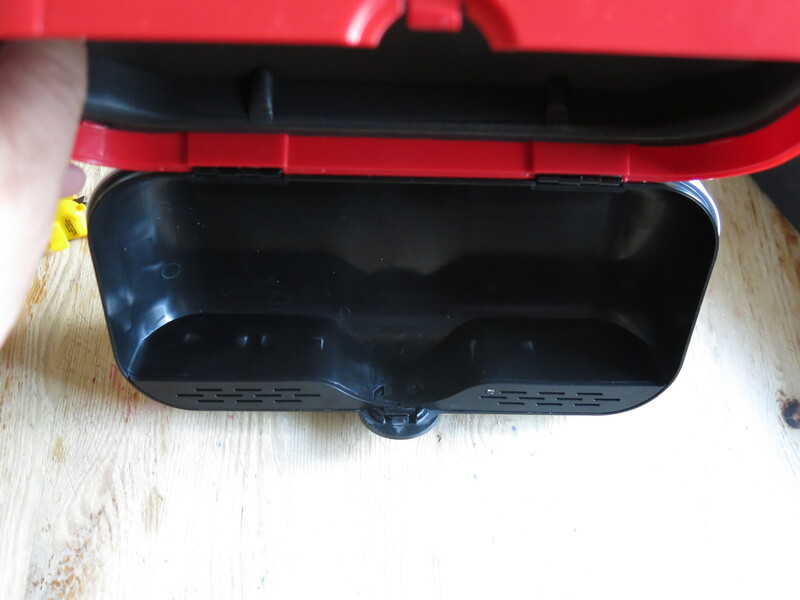 And to round this off, quite possible the only reason some people are looking at this post, a video of the box being opened and speaking to you …. Note this pen was paid for by myself. 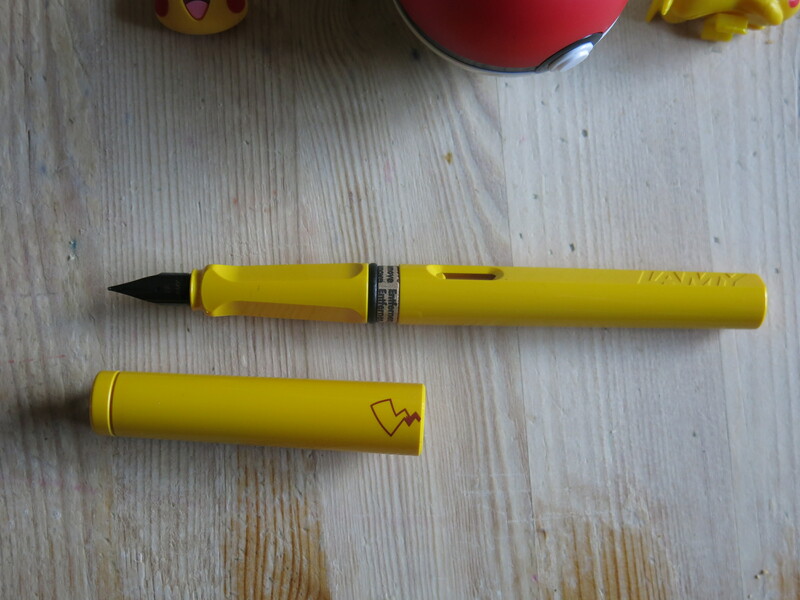 It was bought for me, along with a second, at one of the two official Hong Kong Lamy stores (the one in TST I believe), and then posted to me with full details of the contents and the real value on the customs declaration. 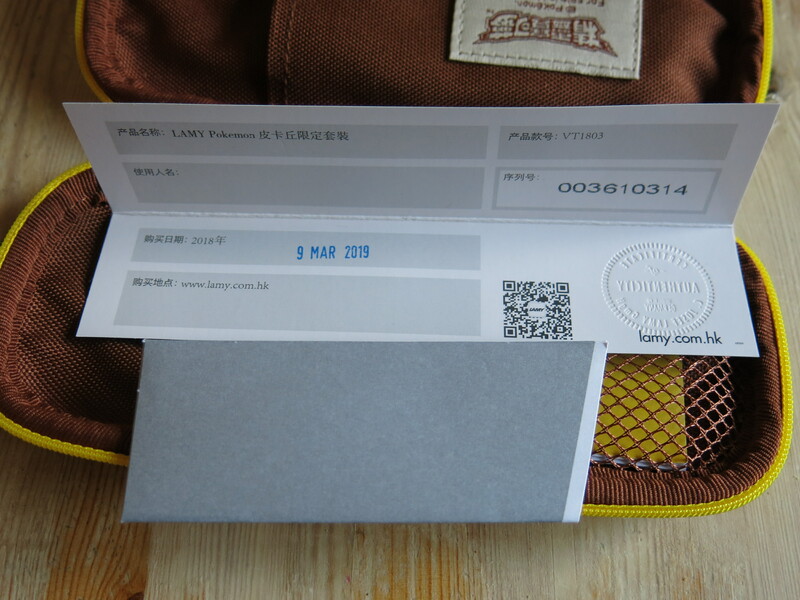 I paid back my friend in Hong Kong and also paid Parcel Force in the UK for duty, customs and their handling charge.